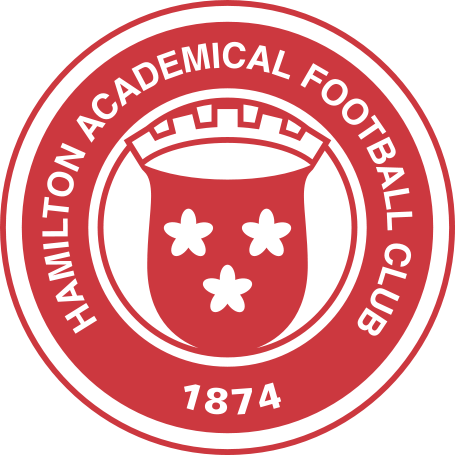 Hamilton Academical came from two goals down to hold Kilmarnock to a draw in the Scottish Premiership. 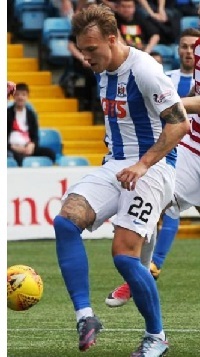 Dom Thomas' free-kick was knocked into the net by Hamilton's Louis Longridge to give Killie an early lead. 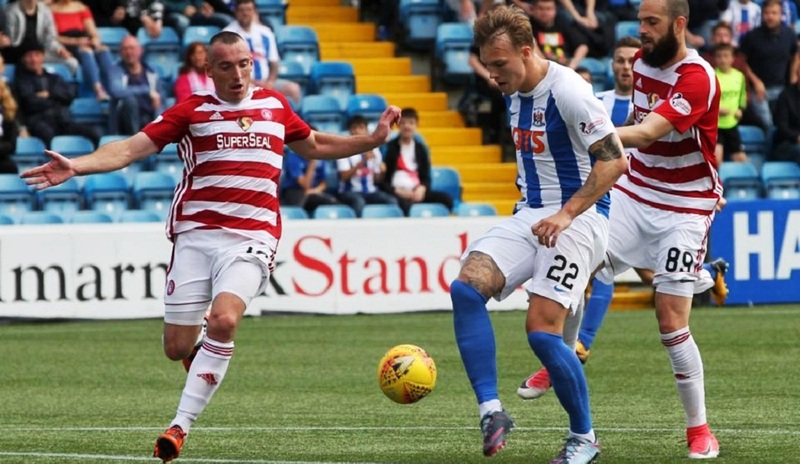 Lee Erwin's stylish lob (right) put the hosts two up but Giannis Skondras replied for Accies with a well-taken strike. Steven Smith fouled Greg Docherty in the box and Ali Crawford restored parity by converting the resulting penalty. 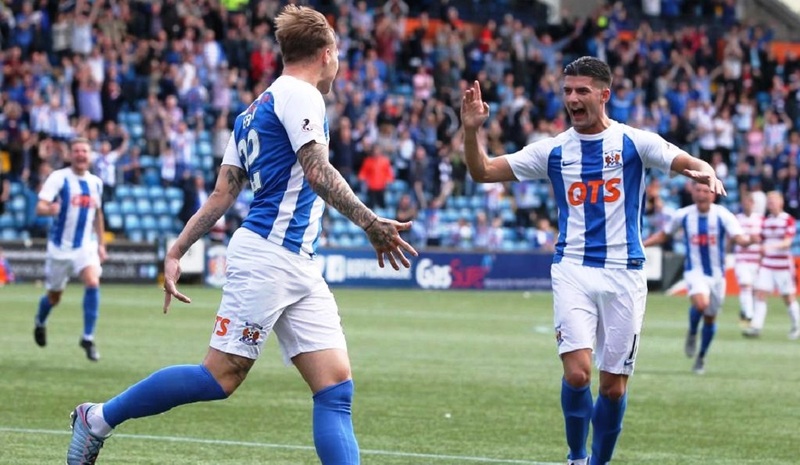 Killie get their first point of the season but Lee McCulloch's side will be frustrated not to have taken all three. 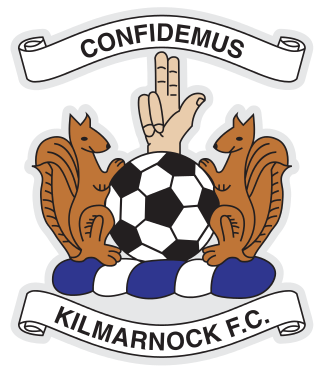 Killie have now just won 8 of their last 42 games at their own ground. Lee McCulloch: "That's two points dropped, again individual errors costing us the goals. It was a bit of a slow game but if you got 2-0 up in any game in world football you're expected to keep a bit of game management and just come in with three points, regardless of how you play. I thought after we scored the second goal we panicked for some reason. I don't know why. "The home form is atrocious for the last seven years, I don't know why so it's something that needs to start getting addressed other than just looking at the stats, something needs to give. If you panic when you go 2-0 up you don't deserve the three points. First goal we conceded was bad defending, the second it looked like a penalty from where I was standing, so no real complaints about that, unless I feel different when I see it again."